Gloria - 2011 Mare -Sold! Quagmire - 2018 Colt- Sold! Quantico 2018 colt - Sold! Artwork 2017 Colt - Sold! Galileo - 2013 Colt -Sold! Devon - 2013 Colt- Sold! 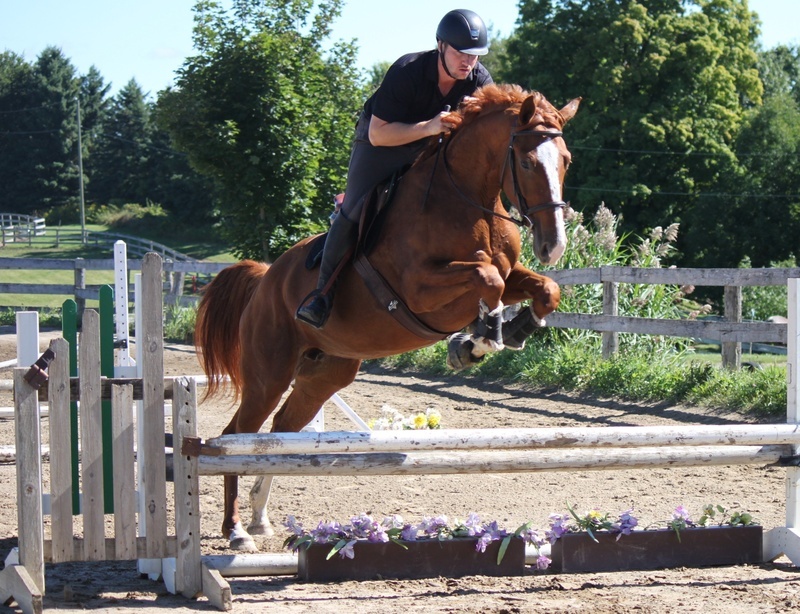 Congratulations to Mark and Noa on the purchase of this wonderful mare! We look forward to hearing about her future jumper foals! 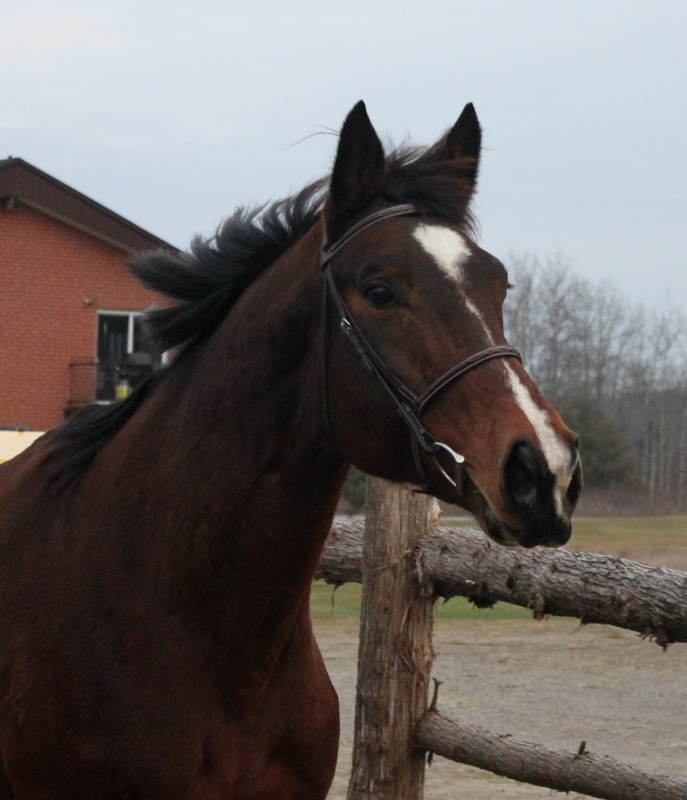 Monika by Merlin (Magic) is a bay 1998 MSB Hanoverian broodmare. Her sire Merlin is known for producing foals that excel in the jumper, eventing and dressage ring. In his stallion testing Merlin was awarded an impressive score of 142 points for improvement of type and 126 points for limb improvement. Merlin was the Reserve Champion at his performance test, ranking 1st in jumping, and 2nd in rideability. Monika's dam Weide is by World Cup IV. This sire line, going back through Woermann and Wohler, has produced oustanding horses including World Cup I-V, Wenzel I, Weltmeyer, Wolkenstein II and Warkant. Monika has produced several lovely, correct, and athletic foals, two are available for viewing on the farm. Monika passes on a wonderful temperament along with a sweet nature to her impressive and versatile foals. Her foals are large with significant bone, two of her foals finished 17.2h. 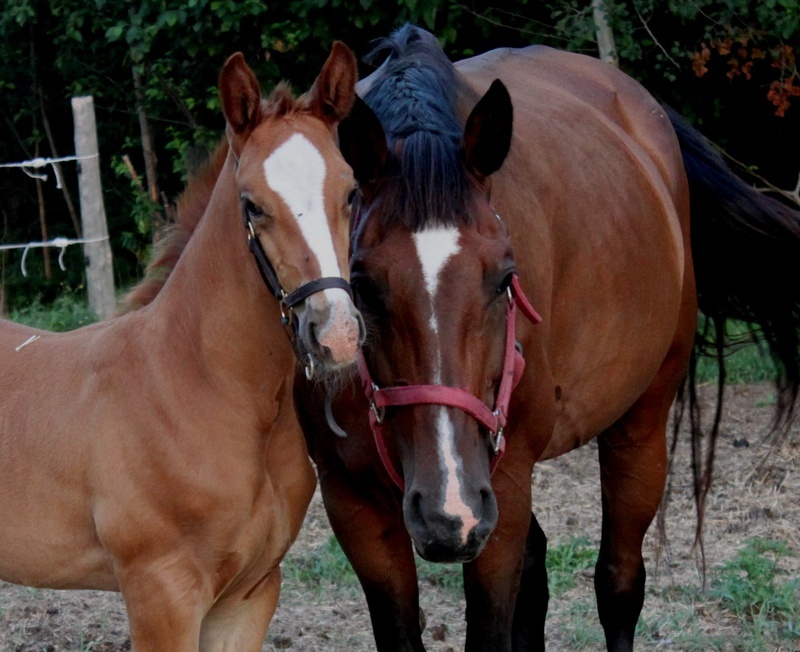 She is a fantastic mother and babysitter, and has been known to let other foals nurse while she's nursing her own foal! 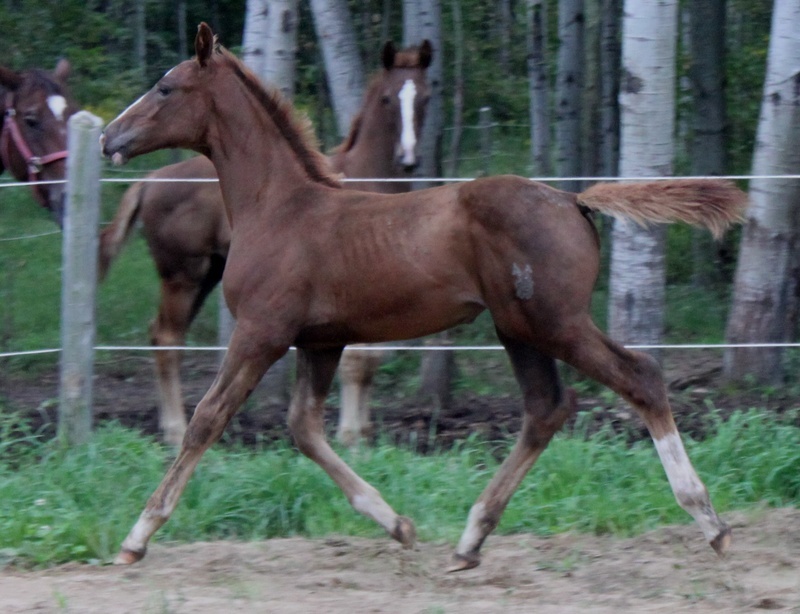 Monika is for sale as we now have two wonderful filly's from her and are keeping our breeding program small. Monika is not broke to ride. Monika is also papered with KWPN and CSH associations. 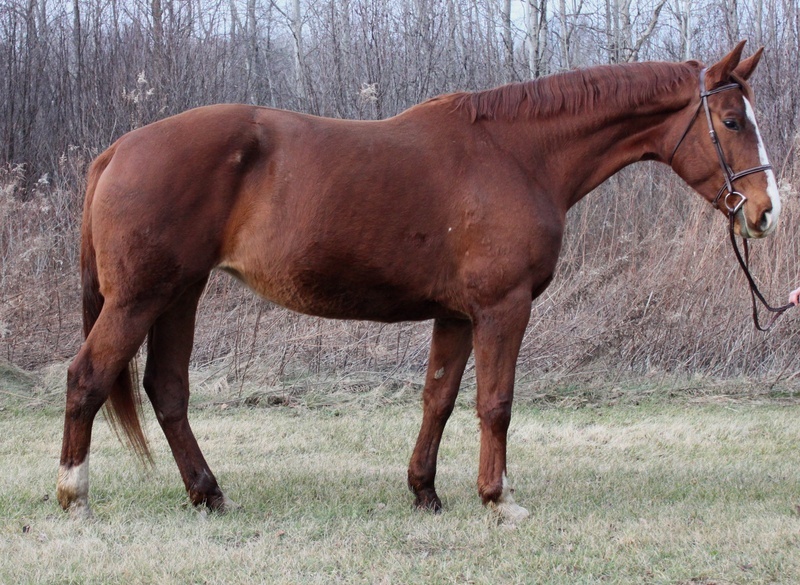 Monika is in foal to Glorioso Noir for a March 2013 foal which is not included in the price. We are able to assist her new owner in breeding after her 2013 foal is born. She will be available to take home after weaning approximately 4 months after foaling.